A short break from the mundane life is very much necessary for every individual. A weekend trip is just the right one to boost up the spirit and then to start work all over again. Shillong offers excellent opportunity for weekend getaways. There are several weekend getaways near Shillong that can be explored. From Cherapunji to Mawlynnong to Guwahati - there are plenty of options to explore in a weekend from Shillong. Distance: 101 km from Shillong. Guwahati is known as the land of temples. It is the home to the Goddess Kamakhya. The city of Guwahati houses four Shatipeeths namely Kamakhya Temple on Nilachal Hill , Dirgheswari Temple in north Guwahati, Ugratara Temple, Bhubaneshwari Temple atop Nilarhal hill. Guwahati is endowed with many beautiful places of tourist attraction. 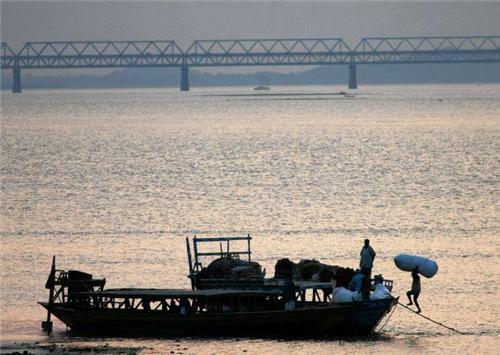 The mighty Brahmaputra River is among the major attractions of the city of Guwahati. Other tourist attractions of Guwahati include Digholi Pukhuri, Deepor Beel, Guwahati Planetarium, Guwahati Zoo, Assam State Museum, Accoland and Srimanta Sankardeva Kalashetra. Visiting Guwahati will be incomplete if you do not try the authentic assamese cuisine. The restaurants in Guwahati offers you with the best Assamese dishes. The National Highway 40 connects Shillong with Guwahati. Assam State Transport Corporation (ASTC) regularly operates bus services from Shillong to Guwahati and vice – versa. Shared tourist taxis, and Tata Sumo are also available easily to travel between Shillong to Guwahati and vice-versa. Bus rates: Rs 100 – Rs 150 (approx) per person. Tata Sumo rates: Rs 150 - Rs 300 (approx) per person. Tourist taxi rates : Rs 300 – Rs 500 (approx) per person. 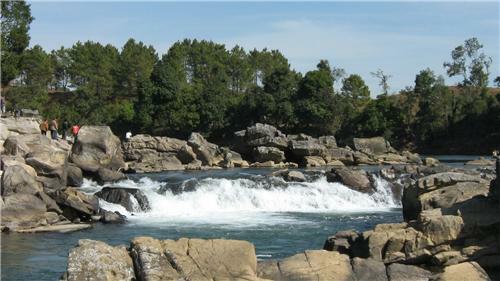 Nongkhnm Island is located in the West Khasi Hill District about 14km from the district headquarter and the biggest river island in Meghalaya. A wooden bridge over the Weinia Fall is used to enter the Island. The Nongkhnum island is bordered by the Phanliang and the Namliang river. The island is also blessed with lot of trees and grassland. The fishing pools near the sandy shore called Wei-Phanliang are a good option for anglers. Local transport like taxis can be hired to reach the Nongkhnum island. Hired taxis are easily available from Shillong to Nongkhnm Island. 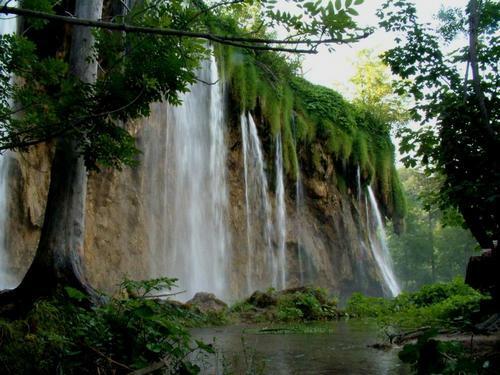 Cherrapunji, also known by the historical name of Sohra is situated in the East Khasi Hills district of Meghalaya. It was considered to be the wettest place on Earth but recently that place has been taken over by Mawsynram. Chura was the original name for it, given by the Britishers and now, it is given the name Sohra by the Meghalaya government. There are a lot of things to see and do in Cherrapunji namely trekking, river canyoning, and swimming. You can also visit nearby places like Nohkali kai falls, Thangkarang park, Cheerapunji maswmai cave, natural shive linga (khoh ram hah), ram Krishna mission, seven sister fall. You can hire a taxi or a shared cab which is available from Shillong. Mawlynnong in the East Khasi hills of Meghalaya declared the cleanest village in Asia in 2003 is a must visit if you are in Shillong. The Sky Walk which is a 80 feet high "machan' or observatory in gives you an opportunity to fall in love with the natural beauty of the place. 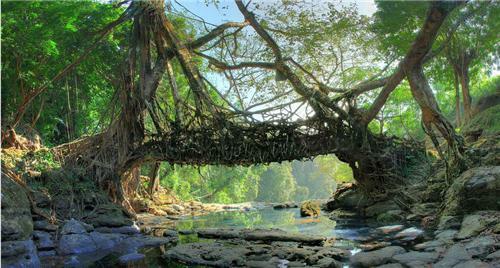 The most popular tourist attraction in Mawlynnong is the Natural Balancing Rock and Living Root Bridge. Shillong taxi services are easily available in the city. A homeland of sinuous hills rich in mineral deposits, Jaintia Hills is located alongside of the river Myntd of Jaintia hills district. There are many mythical sites to explore in this place like; Nartiang Monoliths, Durga Temple at Nartiang, Kiang Nongbah Monument, Khim Moo Sniang, Syntu Ksiar , Borghat Temple, Stone Bridge at Thlumuwi,Lady of good Health Shrine.. There are also lakes and parks to visit in this place like; Thadlaskein Lake, Umhang Lake, Dawki Iooksi (Kupli) Park , Tyrshi Falls, Ialong Park, Jarain Pitcher Plant Lake, Ruparsor bathing ghat, Iawmusiang. You can hire sumos that are available from Mawlong haat or Anjali point. Taxis from Taxi stand in Police bazaar, Shillong are also available. Lumsohpet Byneng is located in Ri Bhoi District on a hill top, known as the navel of Heaven. Lumsohpet Byneng represents the spiritual belief of the Hynniewtrep – the Seven huts people. According to legend, it is said that "The Golden Bridge" symbolises the human Golden Heart and soul which is in communion with the Divine Creator, in each prayer, worship, and reverence.On the first Sunday of February an annual pilgrimage is held. Taxis and buses are easily available from Shillong to Bhoi.